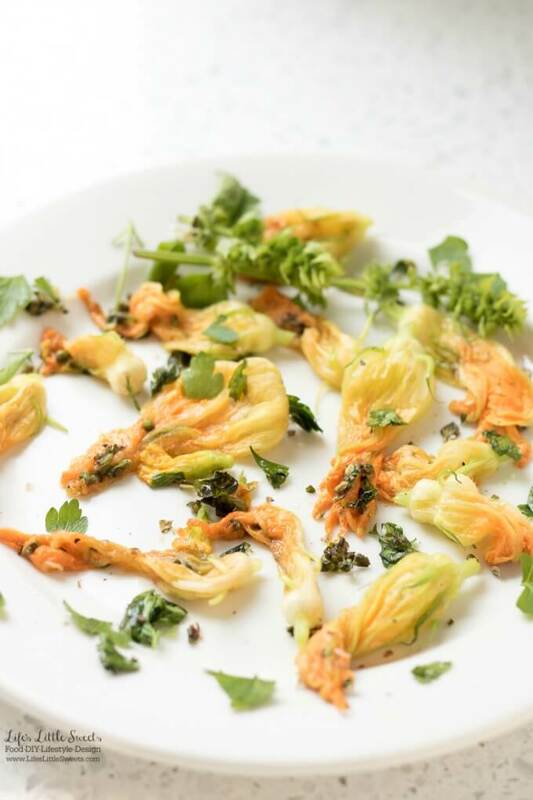 Hi Everyone, I am sharing with you a dish that I have been making this Summer: Sautéed Herb Pumpkin Squash Flowers. 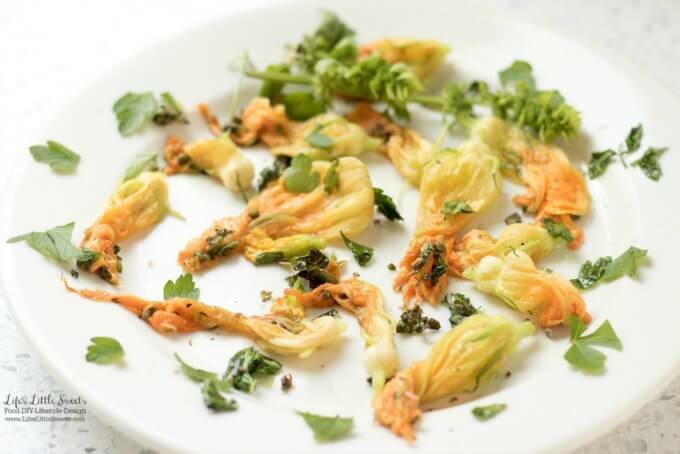 These are great as a starter or appetizer or over a salad or as a side with a meal. 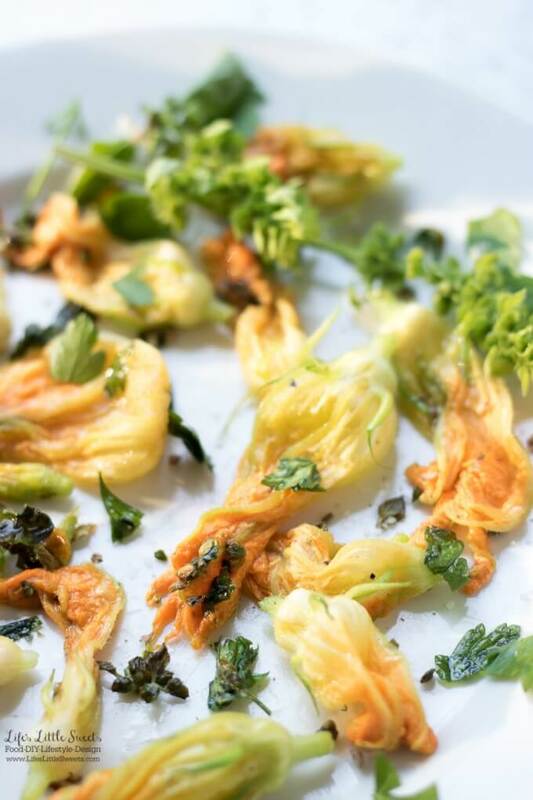 The pumpkin and squash flowers are light and delicate in flavor on their own. I grew my own in my garden this Summer (you can check out my garden posts here). Some grocery stores or farmers markets may carry them but I think they are best when they are freshly picked from the garden. Squash and pumpkin vines produce so many flowers and you have to trim some off anyways so that you can grow better squash and pumpkins. I grow regular orange pumpkins and striped mini pumpkins in my garden. 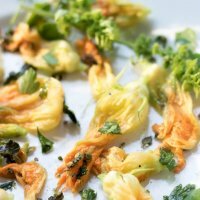 I know you will love this Sautéed Herb Pumpkin Squash Flowers recipe! In a stove top skillet or frying pan, over medium-high heat, heat oil, add minced garlic. Add the pumpkin and squash flowers. Sprinkle the basil flowers on top. Sprinklet salt and pepper on top. Stir and toss to evenly cook. 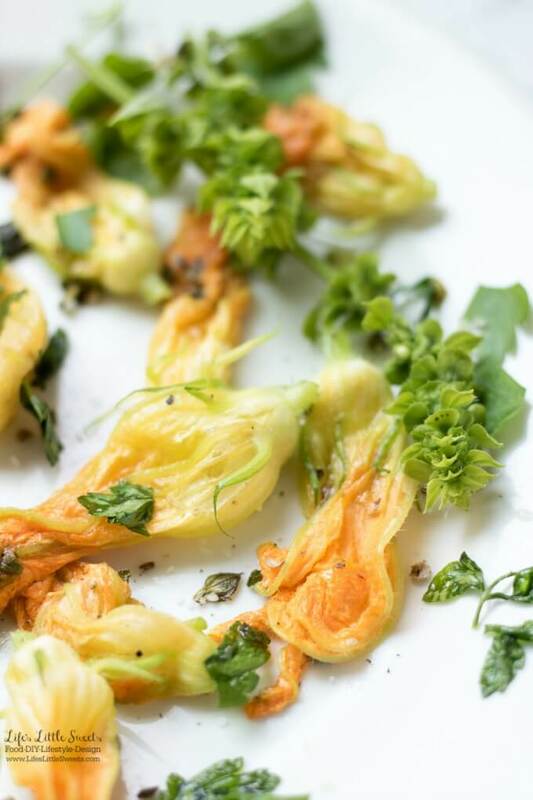 Cook until the flowers are just wilted - this should only take a few minutes as the flowers are delicate. Serve and enjoy!